Yes you are right it is from the hit TV Series Lost. So get you act together and don’t wait till the 108 minutes are over. 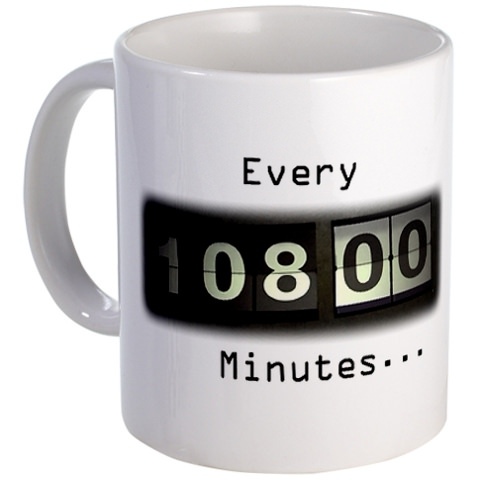 Order your Every 108 Minutes Mug before it is to late.